A special investigation of two federal judges in Texas is nearing completion, but one of those judges recently violated the law again by concealing his attorney-client relationship with a lawyer who regularly appears in his courtroom. Meanwhile, the U.S. Court of Appeals for the District of Columbia Circuit appears to be stonewalling my complaint against U.S. District Judge Ellen S. Huvelle (more on that below, plus the latest news about the Booger County Mafia). On Saturday, I supplemented my judicial complaint against U.S. District Judge Walter S. Smith, Jr. of Waco after learning that Judge Smith had an undisclosed attorney-client relationship with local attorney Greg White. Ironically, Judge Smith hired Mr. White to represent him in the judicial misconduct proceedings that resulted from my original complaint, a fact that both of them concealed from the attorneys and parties who were appearing opposite from Mr. White in Judge Smith’s court. As reported on this blog and at DirtyRottenJudges.com, my original complaint arose from a female deputy clerk’s testimony that Judge Smith sexually harassed and groped her while he was drunk in the federal courthouse. 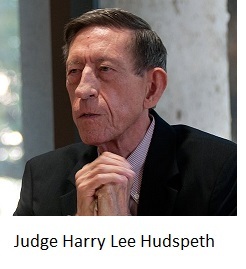 According to that former clerk, she reported the misconduct through her chain of command, but then-Chief District Judge Harry Lee Hudspeth covered up the incident. I filed complaints against Judge Hudspeth as well as Judge Smith, and the chief judge of the U.S. Court of Appeals appointed a special committee to investigate both of them. I recently heard rumors that a report was targeted for release in mid-November, and a letter dated October 20, 2015 seems to confirm that timeline. In the letter, a deputy clerk informed me that the committee’s report for “Case No. 05-14-90120” had been submitted to the judicial council. That’s the case number assigned to Judge Smith (Case No. 05-14-90121 was assigned to Judge Hudspeth). In addition to the supplemental grievance against Judge Smith, I filed a bar grievance against Mr. White, who also serves as an adjunct professor at Baylor Law School. The U.S. Court of Appeals for the Fifth Circuit ruled 35 years ago that judges should disqualify themselves from cases when they have an attorney-client relationship with one of the attorneys in a case, and state bar rules prohibit a lawyer from assisting a judge in violating the rules against judicial misconduct. Purely as a matter of common sense, Judge Smith and Mr. White should have known better. Would you want your case tried by a judge who was secretly being represented by your opponent’s lawyer? As I reported last year on BoogerCountyMafia.com, I have personally participated in litigation where a state district judge had an undisclosed attorney-client relationship with my opposing counsel. I later learned that the state judge had received free legal services from my opposing counsel (which looked and smelled a lot like bribery). Under those circumstances, it is nigh impossible to have any confidence in the fairness of the judge or the outcome. Ironically, the state judge, Robert M. Stem, was a non-party conspirator in a civil racketeering case pending before Judge Smith, and I later learned from Judge Stem’s brother that Judge Smith and Judge Stem were personal friends. 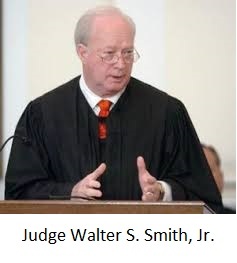 Judge Smith subsequently dismissed the racketeering case on the pleadings (without an opportunity to amend the complaint), and he sanctioned my clients and me $25,000 sua sponte and without notice or an opportunity to respond. So did Mr. White represent Judge Smith free of charge? Or did he give the judge a discount? I am informed that Judge Smith has made a lot of favorable rulings lately in favor of Mr. White’s other clients. Is that a coincidence? Nobody should have to wonder about these things, yet here we are, wondering. Judge Stem, meanwhile, still rules in favor of Bryan F. “Rusty” Russ, Jr., the lawyer who represented him for free, and he does so consistently and without any regard for the law or the facts. Is it any surprise, then, that the public is fast losing its confidence in the judiciary? In late January of this year, I filed a judicial misconduct complaint against U.S. District Judge Ellen S. Huvelle of Washington, D.C. after I learned that she had been secretly communicating with my opposing counsel even as she was covering up their crimes against my client. I also filed grievances against the attorneys. As explained on DirtyRottenJudges.com, those attorneys suborned perjury, forged an affidavit, and knowingly filed false interrogatory responses, yet Judge Huvelle repeatedly refused to take any action. With Judge Huvelle’s help, they won a $7 million verdict against my client, largely based on the testimony of their client, William C. Cartinhour, Jr. After trial, I learned that Mr. Cartinhour is a paranoid schizophrenic and a pathological liar, and that one of his attorneys tampered with his medical records in order to conceal his schizophrenia. It now appears that Mr. Cartinhour was actively psychotic during his trial testimony, a fact that his attorneys concealed by variously describing him as confused or suffering from heart problems. Worse, there is circumstantial evidence that Judge Huvelle knew about the schizophrenia as a result of undisclosed communications with Mr. Cartinhour’s psychiatrist. 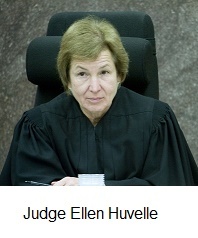 And if that was not enough, Judge Huvelle used her position as chair of the court’s assignments committee to assign herself to a related case involving the same parties, even though the latter case implicated Judge Huvelle in a crime. Judge Huvelle then dismissed that case and sanctioned me $123,802.17 for filing it. 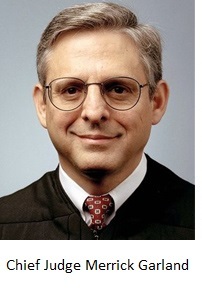 According to the rules governing misconduct complaints, Chief Judge Merrick Garland of the U.S. Court of Appeals for the D.C. Circuit must decide whether to appoint a special committee to investigate my complaint against Judge Huvelle. The rules permit him to conduct a “limited inquiry” to determine whether to appoint the committee, but any investigation is to be conducted by the committee itself. In a September 29, 2015 letter to Chief Judge Garland, I noted that nine months had passed since I filed the complaint. We’re now in the tenth month, and while I can understand why it would take ten months or longer to investigate a complaint, I do not understand why it would take ten months to decide whether to investigate. Then again, maybe I do understand. As I explained in the letter to Chief Judge Garland, he has a conflict of interest. Every judge on the Court of Appeals was made aware of Judge Huvelle’s misconduct in one or more of four different cases, and each time the appellate judges did the same thing: they ignored her misconduct, refusing even to discuss it. If he and his colleagues investigate Judge Huvelle now, that will inevitably raise the question of why they ignored her misconduct for so long. Admittedly, I did not mention Judge Huvelle’s ex parte communications in those appeals, nor did I mention the fact that Mr. Cartinhour was psychotic during his testimony, but that was only because I did not yet know about the ex parte communications or the altered medical records. Nonetheless, I raised all of the other evidence of Judge Huvelle’s bias and misconduct, and that was more than enough. At an initial scheduling conference, for example, and with nothing more than the initial pleadings in front of her, Judge Huvelle impugned my client as a “rat” and said she was going to award the disputed funds to Mr. Cartinhour, never mind the fact that (1) she had not heard any evidence or (2) the fact that my client had demanded a jury trial. All of that looks a lot worse now that we know she was secretly communicating with Mr. Cartinhour’s attorneys. But I digress. Judge Huvelle’s colleagues appear to be stonewalling my complaint in order to protect her – and themselves – from further embarrassment. And they’re not just stonewalling, they’re retaliating. One of Mr. Cartinhour’s attorneys filed a grievance against me around the same time that I filed grievances against him and his colleagues. The district court’s grievance committee refused even to investigate Mr. Cartinhour’s attorneys, but the same committee has opened a disciplinary case against me. So Mr. Cartinhour’s attorneys can perpetrate felonies like forgery, subornation of perjury, evidence tampering, and obstruction of justice, and that’s not even worthy of an investigation. But if I get sanctioned by the corrupt and conflicted judge who aided and abetted those crimes, then that’s grounds for suspension or disbarment. I suppose it’s a lot more expedient to sacrifice a peon lawyer like me than to embarrass the gods of the federal judiciary. In my letter to Chief Judge Garland, I encouraged him to Google my name in conjunction with Texas Attorney General Ken Paxton, Snoop Dogg, U.S. District Judge Frank Martinez, and former DA John Paschall, among others. I’m not in the habit of being intimidated, nor do I intend to start being intimidated now. The judges in D.C. can sanction me, suspend me, or disbar me, but unless they’re planning to send me to Guantonimo, they won’t be able to cover up Judge Huvelle’s misconduct. Back on August 29, 2015, I reported that the City of Hearne continued paying the salary of its streets supervisor while he was locked up on a felony drunk-driving charge. A couple of weeks ago, a Robertson County grand jury indicted former city manager Pee Wee Drake for misapplying fiduciary funds by paying the incarcerated employee to sit behind bars. Last week, the city council rehired Mr. Drake as city manager. According to KBTX, Mayor Ruben Gomez said the city rehired Mr. Drake to show its support for him in response to the indictment. 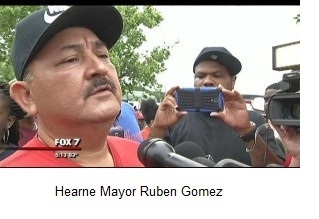 So if you misuse city funds in Hearne, the city rehires you to show its support. That’s a special kind of stupid. It’s so special that I’d like to propose a new motto for the city government: Instead of “Crossroads of Texas,” how about “Laughingstock of Texas”? Or maybe “Proud to be stupid”? After all, this is the same city council that appointed former Councilman Michael Werlinger to a vacant council seat after it was revealed that hundreds of dollars worth of football tickets had been purchased for Mr. Werlinger using Mr. Drake’s city-issued credit card. We’re told that everything is hunky dory now because Mr. Werlinger repaid the pilfered funds back in September, shortly before he was appointed to the council. Unfortunately, Mr. Werlinger did not reimburse the city until after Rodrick Jackson uncovered the misappropriated funds, and after I wrote about it on this blog. Yeah, they’re definitely proud to be stupid. Fortunately, city council elections are coming up in May, and I suspect it will be a bloodbath for Mayor Gomez, Councilman Werlinger, and the rest of the Booger County Mafia. All of the Mafia representatives are on the May ballot, with the exception of Mayor Gomez, but recall petitions for the mayor will begin circulating soon. On a very sad note, Dr. Farid “Fred” Bastani of Hearne was found unconscious on Friday and later died at St. Joseph’s Hospital in Bryan. 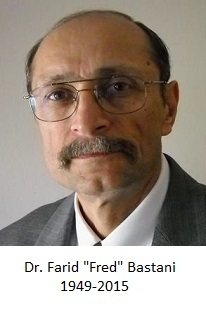 Dr. Bastani faithfully attended every city council meeting, and he doggedly pursued Mayor Gomez and the rest of the crooks in city government. That has a lot of people wondering whether his death was the result of foul play. I think it’s a fair question. Hearne and Robertson County have been run by thieves and thugs since the 1800s. In 1961, Henry Marshall was shot five times with a bolt-action .22 rifle, yet his official cause of death was listed as suicide. Nowadays, Mayor Gomez threatens his opponents routinely, while his son (former city councilman Matt Gonzales, the star of his own racist rap video) just skips the threats and assaults people. I was personally threatened in 2012 by then-DA John Paschall. The best response to those threats is more people becoming more outspoken. In honor of Dr. Bastani, start attending council meetings and asking inconvenient questions. Let those thugs and bums know that they’re being watched. Yet, I can’t get any help against Falls county, I am afraid my son will be dead if I caant get help soon. I am in Dallas right now but have no idea where to start anymore. I called the jail today because they wont lt us know anything about my son or even if he is alive. Judge Stem deemed him insane and put him back in jail, we have not heard from him since. I could tell the deputy was lying to me. All started over a dog leash ticket that judge denny lessman put jeremy in jail for. All this to keep me in line for Marlin Cop West molesting me.